But for a lot of us, we'd be hard pressed to explain the difference between the two to anyone. They're kind of like salt and pepper to us–different, but more or less the same. Right? Although they're working hand in hand to get you connected to your favorite websites, they're doing totally separate jobs. So what is it that they do? Here's the answer, simplified and deliberately non-technical, explaining the difference between a modem and a router and why you need one of them, and should have the other. The modem connects to a cable/wire from the outside, bringing in Internet data (email, You Tube videos, Google search results, files) from all over the world. A different wire that goes from your modem to your computer delivers your Internet requests and activity to your computer and monitor. What you see is what you asked for. Thanks, modem! In case you're wondering, you can't simply plug that cable from your Internet Service Provider directly into your computer. It just doesn't work that way. You NEED that modem between the cable and your computer. No modem, no Internet. You could go online using just your modem and computer, but there's a reason to think twice. Modems are useful, but they are not smart pieces of hardware. They can't do much when it comes to providing Internet safety, like keeping hackers away. Also, one modem connects to only one computer. So with just a modem, your computer is at risk. You'll need to rely on special computer software (anti-virus programs, etc.) to fight of bad stuff coming in from online (computer viruses and such). And make no doubt, there's plenty of that out there. Enter the router, a good companion for your modem, your computer and you. With a few wires and connections and installing some software, you're modem, router and computer get connected. It can take the digital signal from your modem (which the modem gets from the cable company's cable) and share it with (route it to) other computers in the house. You now have a computer network at home. In order to do this, the router monkeys with and modifies the IP address on your computer(s). Just by doing that, it automatically makes it hard for hackers to now get at your computer. In fact, it's harder to target any specific computer linked to the router. How technical does get it? All this Internet cable/modem/router/computer connection stuff takes a little bit of jiggering and figuring–but it's not too difficult (your cable company can offer help) and the rewards in Internet convenience, speed and safety are worthwhile. One last thing. You might be wondering what role your IP address plays in all of this. The answer? It is at the heart of it all. In simple terms, the networking software in your computer follows guidelines (Internet protocols) that connect you to the Internet. 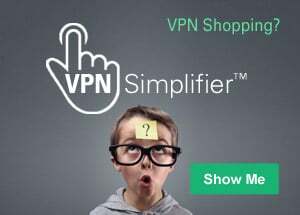 These protocols allow you to send emails and information back and forth through your modem and router–and your IP address helps directs the data YOU requested to YOUR computer and not to someone else's. A router connected to your modem is what allows you to share your Internet connection with others in your home, with built-in security against hackers.